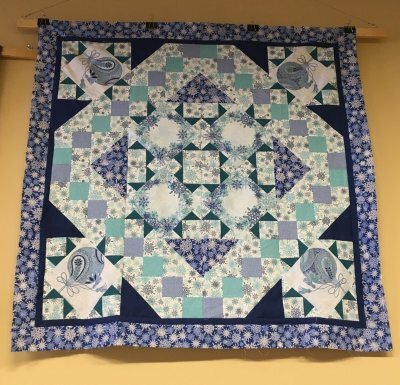 November News from Main Street Quilting Co.
Class Ideas- Have you seen the awesome T-shirt quilt in the Running Company's window? We can help you make one!! The holidays are right around the corner. Perhaps you’ve got a special gift in mind for someone….or maybe even yourself? Main Street Quilting Company offers a specialized shopping experience for family and/or significant others. Fill out a wish list, send your shopper to the shop, and we’ll help them out. Main Street Quilting Company invites you to join us for an art gallery style showing of all MSU fabric projects. Bring your Bobcat project in to display and learn about how our wonderful MSU batik was made. Hoffman representative Carolyn will present on the batik process and how that related to getting our MSU fabric made. We are excited to see what Cat fans have created! Let us know you are coming so we can have a surprise ready. Coming to the event? Call by Nov. 1 so we have a head count. If you are interested in participating in the art show, please call ASAP and let us know; please have projects to the shop by Nov. 2, so we have time to hang them. The only requirement is that blue and gold or MSU material be used in your project. The last class was so popular that we’ve scheduled another session with Leslie McNeil of MarveLes Studio for Nov. 4-5. Class runs 10:30am to 4pm both days. No sewing machine needed. Class time will be dedicated to purchasing supplies, but please bring your fabric stash! Cost: $75 plus materials. See online description for more information. We have lots of Leslie’s patterns in the store; come by to purchase your pattern for class or look for them on our web store. Enjoy photos from the Sept. 29 class. Finished products were gorgeous and lots of fun was had. 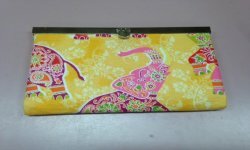 Join us for a fast and fun wallet class. 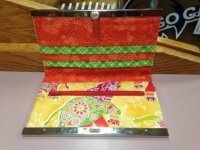 All ages are welcome... if you can sew a straight line, you can make this cute wallet. These make great gifts and are so easy to make. You'll be giving them as Christmas gifts all year long! Class supplies are listed on our website. Susan Ward of Common Bias Quilting will be in the shop Saturday, Nov. 19 to expand your quilting color palette. Learn how seemingly different colors interact with each other and bring a scrappier quality to your quilts. Make a smaller project in class like a wall-hanging or potholder or start a larger project. Sewing machine is needed. We also have Susan’s patterns for sale (Red Sky Morning and Chequamegon Meadows, Circling the Barn, The Dance, and more). Starter kits of neutral fabrics available to get you started on your project. Last year's competition was so popular we brought it back!! Beginning Oct. 22, come in for your 4 yard bag of fabric and see what you can create. Quilt? Wall hanging? A coat? All competitors will receive the same bag of fabric and are allowed to add up to 1 yard of additional fabric. We can't wait to see what you make! Deadline for finished project is Dec. 1, so we can hang them up for the Annual Downtown Bozeman Christmas Stroll (Dec. 3). Prizes will be awarded for Peoples Choice, Staff Choice, and Most Creative Use of Fabric. All bags of fabric are the same and is as pictured. Live out of town but want to participate? We can ship it to you--let us know ASAP so you don't lose any time getting started. Supplies are limited so come in today to get your bag. Get help finishing those projects you’ve had on the back burner. We’d love it if you called us ahead of time so that we have a head count. Cost: $10 for classroom use. If you loved the Wee Ones, this pattern would be so cute for that stand. Connie will walk you through the hand applique basics while making this cute ornament. We are so pleased that a teacher in Billings is coming to us for this popular one day class! Learn the basics of hand applique while making a small wool project. Kits will be available. Cost: $TBA plus materials. A new session of Beginning Quilting will start in January and run for thirteen weeks. We will be covering the basics from purchasing fabric, cutting fabric, sewing, and making the blocks. Consider giving the life-long gift of quilting this holiday with a gift certificate for class. Cost: $150 plus materials. Software Inspirations last session is Oct. 26 and will start again in January. Bernina just released Version 8 Software. Committing to next year’s Software Inspirations Classes gives you a discount on the software plus you’ll get to learn about all the cool things this new release can do. Call us for more details. See a class you want to take but it doesn't work with your schedule? Let us know! Didn't see the class you were looking for? Let us know! We are always taking suggestions for class topics. Let us know what you are interested in and we just may have a class for you! We take pre-orders on new products. Call and let us know what you want. Coming soon is the 30s reproduction line by Darlene Zimmerman. Each of the 50 United States is represented by its state bird. We’re getting a huge selection of the line. Pictures below are for example only. A kaleidoscope re-imagining of the famous fable “Tortoise and the Hare” complete with tortoise, hare, a pit crew, and the winner’s circle. Collection consists of a few key motifs then printed in three colorways: blue-raspberry, strawberry kiwi, and orange crush. Bolts are here, and we’ve cut fat quarter bundles and half yard bundles from our selection of the collection. Organic cotton is here! Taking subtle inspiration from the foxglove flower and adding in some cartoon foxes, this line is whimsical and cute. Color palette features oranges, reds, blues, and yellows. Feminine, modern, and cute. 30s Reproduction Flannel! Dogs, cats, frogs, flowers, ditty dots. This line is great for children’s blankets and clothing. Plays with Wool Designs has released new Wee Ones and new framed designs! We are taking pre-orders on the Wee Ones because these are going to quickly fly out the door. Call us and let us know which ones you are interested in, and we'll be sure to get enough! We also have fat eighth bundles from Olympic Wool Works and “Chunklets” for other patterns, including a new Mug Rug Pattern from Magenta Rose Designs. Quilting for Christmas? Just a reminder to think about those projects early…..our favorite quilters are going to get super busy. And if you need fabric, we’ve still got it. Flannels, regular cottons, lots of fun stuff. Flannel layer cakes are a great start for rag quilts. We have the Cardinal Reflections and Cozy Cottage flannel layer cakes in stock. Think of Sew Steady Tables as a giant extension to the left of your machine. Custom made to fit your model machine, these tables keep your project on the same level as your machine bed and give you tons of extra piecing space and makes quilting easier. Sew Steady Tables make a great present for yourself or other sewers. Call us at Main Street Quilting to order. 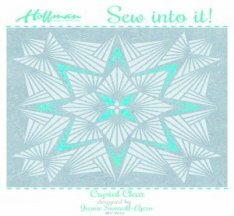 We will contact Sew Steady and can have them mail the table directly to you! If you’ve had a chance to see the store window lately, you may have noticed the Wildlife Square Dance quilt in the window. Awesome animal prints are fussy-cut from a wildlife digital print and then bordered with a jelly roll. This quilt is all kitted up for you, and would be a great guy quilt. Pattern designed by Gwen. Kits are available for both patterns. New kits for bench pillows and wall hangings are here. These kits are great because they are pre-cut and pre-fused, so all the tedious work is done for you. Just open it up, do some basic sewing, and you’ve got a beautiful project. Stitch by Number wall hangings: look more complicated than they are. Patterns piece together easily and look super cute. Wreath, Snowman, and Santa in store. 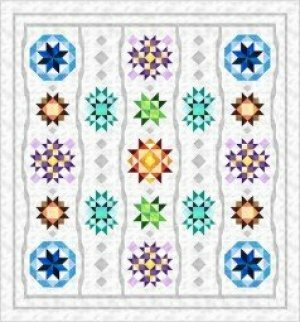 Snowflakes dance with ornaments in blues and teals in this kaleidoscope-like quilt. You'll be done with this quick and easy table sized topper in no time. We also have this fabric on the bolt. Designed to be sold as mini-kits every month, we can also sell the full kit for many block of the months. Just ask. Also, blocks of the month make a great year-round holiday gift. We’re working on the fun BOM called "On the Horizon", a 108” square quilt for which Gwen has re-designed the colors a bit. This will be a 9 month BOM program in the greens, purples, and creams shown here. We've got limited space in the BOM and pre-registration will open November 1. Get your name on the list so we can call you when these are ready! 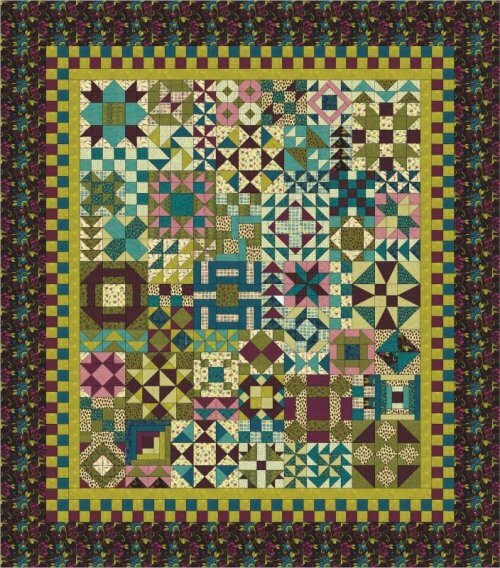 This FLANNEL block of the month is now cut and kits are available for purchase! Photo of quilt below, and a sneak-peak at blocks from our quilt. Extra flannel from this kit is now for sale on the flannel wall. We’ve finished kitting this quilt's first few months and are accepting sign-ups. Come in the shop to see this stunning quilt. It's so much prettier in person!! Get your machine serviced and ready for fall and winter sewing! We repair and maintenance all makes and models of sewing machines and sergers. Cameron, our experienced technician, comes next on Nov. 4. His list always fills quickly, so call us today at 406-586-6097 to reserve a slot. October 27-29: Halloween Quilters Crawl. We are opening an hour early! 9-5 on Thurs. and Fri. and 9-5 on Sat. We are open Friday, Nov. 25, the day after Thanksgiving!